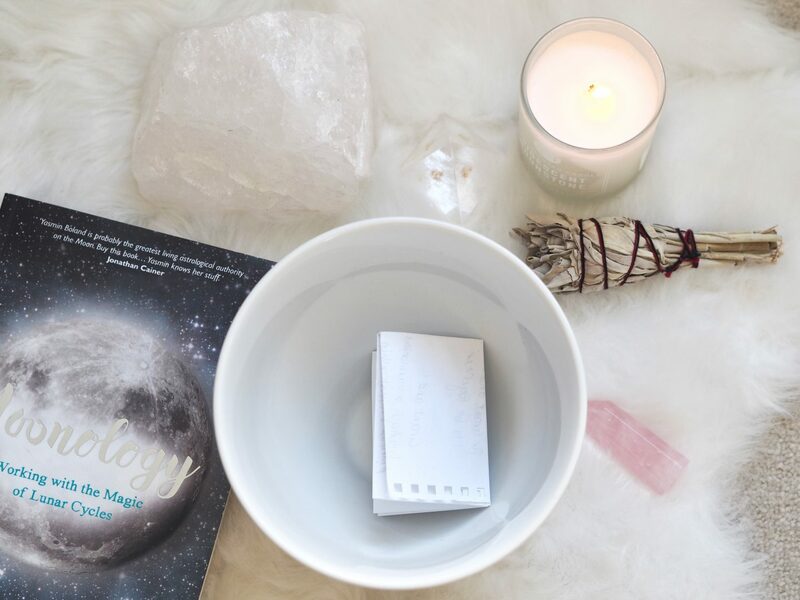 After so many of you loved my new moon ritual post a few months ago, I thought it was only right that I also shared with you my full moon ritual. Today (28th June 2018) is a full moon and this is the perfect day to let it all go! The full moon signifies a completion, the wrap-up and letting go of what no longer serves us. 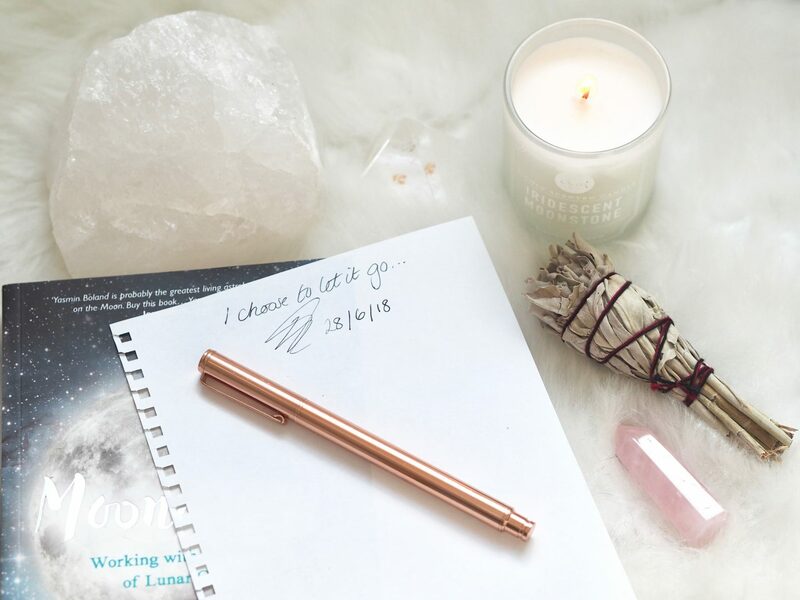 This can be a really powerful practise to incorporate into your manifestations, to let go of them and to let go of the need to control. I must say I’ve been leaning towards full moon practices more at the moment to surrender control, the outcome and to let go of any fearful emotions. Once again you can find out the dates of a full moon by giving it a quick Google search, or if you purchased one of my 2018 Law of Attraction calendars then all the moon cycles are written on there. First of all, it’s important to be present, so center yourself and focus on your breathing. You can also set up an altar to accompany your full moon practise. I like to light some candles, incense and do a sage of my house afterwards to clear any negative energy. Next make a list of ALL the emotions, beliefs, people etc that you want to let go of. Start off by dating the paper, writing ‘I choose to let it go’ and once you’ve finished sign it. 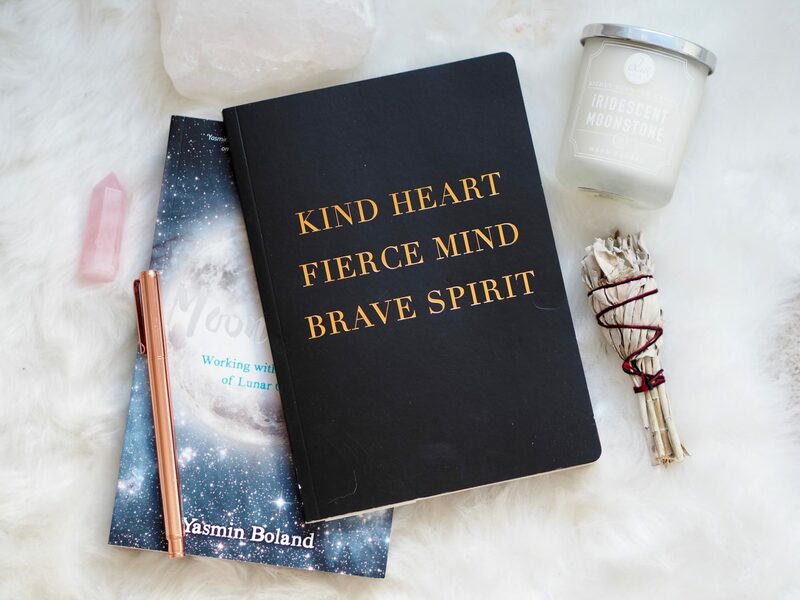 These can also include manifestations you want to bring into fruition. It’s safe to put these on as letting go is all part of the surrendering process. I always find when I do let them go in a full moon practise they happen so much faster. Now, this is my favourite part – the burning! Now full health and safety disclosure here please be sensible and cautious when burning your lists. If you can do this outside, if not use a heatproof bowl in the sink. Just make sure there’s some water nearby basically! These flames can get a little out of control so you want to make sure your safety comes first. Burning I feel is the most powerful way to let go of our lists, but you can rip them up and flush them down the toilet also. When burning your list call upon Archangel Michael and Archangel Metatron to help you to let go and release what is on your list. You can also call upon any other Angels you work with. Set your intention with the Universe and say out loud ‘I am now ready and willing to let this all go, Universe you have heard me and now I trust that you will bring me whatever is for my highest good. I ask that you acknowledge that I am ready to let this go. Thank you Thank you Thank you Universe’. Then take a deep breathe and let it all go baby! Previous Post LOVE VS. FEAR – WHAT CAN WE REALLY TRUST?